Students who have already registered can attend the graduation ceremony with their respective departments. Please contact your department for specific gathering time and seats distribution of the graduation ceremony. The collection time of academic gown will be notified at another time. For international students who cannot graduate on time, should submit <the Application Form for HUST Schooling Period Extension> before June 16, 2017. If you are approved and finish the payment of tuition before the end of the semester, then you can apply for extension of residence permit. For Chinese Government Scholarship students , who are applying for extension of schooling period , must be approved by China Scholarship Council, then he/she can apply for extension of residence permit; otherwise, he/she is supposed to pay the tuition and then can continue to study at HUST. For new PHD students accepted by HUST who hope to continue to stay in HUST, can hold the <Admission Notice> to finish the tuition fees in advance, then he/she can apply for residence permit extension during June 26 to June 30. In order to leave the graduates a nice study &life memory, and to promote excellent international students as typical representatives, the International Student Office will make 2017th Graduates' Memorial brochure. We hope each graduate can prepare an essay regarding the study &life memory in HUST with two or three personal photos, and submit it to the International Student Office by email before June 19th（apply@hust.edu.cn）. The theme of the essay is regarding your own experience and feelings of studying or living in China. We want the essay to be consisted of no more than 1000 characters or words. Both Chinese and English are OK. The photos should be submitted as attachments instead of directly being put in the essay. For the format of the essay, please refer to Attachment 1. ISO will collect all the essays, make them into a book and grant the book as a gift to graduates who submit essays. Postgraduates who need to apply for English version should take the Chinese version transcript from school and submit it to the Graduate School on Tuesday morning of each Tuesday. Because graduation is approaching, lots of students need to apply for English version transcript, we hope that students can handle it as soon as possible. Students who need to apply for English transcripts after graduation, are supposed to go to school archives to apply for that. Graduates should complete<Huazhong University of Science and Technology Foreign Students Graduation Registration Form> in accordance with the requirements. With the signature of the supervisor and submit this form to the school, then you can go through the leaving formalities. Please go through the leaving formalities according to <HUST Deregistration Form for International Student>. When the graduates finish all necessary procedures, they could come to collect their certificates with required documents at the International Student Office. The date for Certificates Collecting will be announced later. Please take your passport, Discipline Record certificate, <Registration Form of Temporary Residence> to apply for Non-Criminal Record Certificate at the Regional Police Bureau. In order to avoid troubles of students in their future work or study, we suggest that students notarized their certificates, degree, transcripts and None-criminal Record before they leave China. If the graduates can’t do the deregistration procedure personally because certain reasons, they can entrust other people to handle it. In this case, the graduates need to submit the following materials to International Student Office. Graduates should take the< HUST Deregistration Form for International Students> and their Departure Ticket (train or air) to check out from the dormitory before July 30 2017. After the students check out from the dormitory, they are not allowed to live in the dormitory any more. Without the permission of ISO, no one can accommodate other people. If any students violate the rules, they will be seriously punished by the Bureau of Public Security and disciplinary sanction by HUST. Graduates should obey the school rules, and are forbidden to wrangle, break bottles or engage in other public distorting activities such as: influence others’ study and life on campus. Also, Graduates are forbidden to engage in unlawful acts, otherwise the university will deal with it by using serious actions. If the cases will be severe or violence related, the university will notify the Bureau of Public Security to shorten one’s period of residence permit and the person will be deported. The school will award excellent certificates for outstanding International graduates. 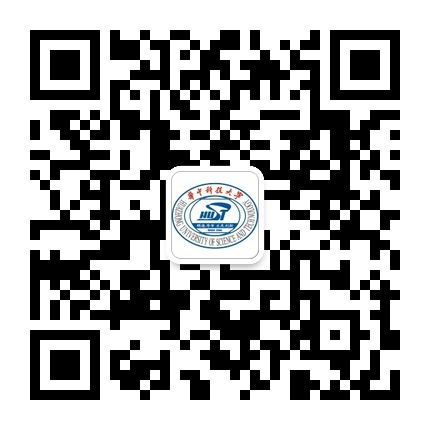 Graduates are supposed to submit <Alumni China Registration Form-HUST >to ISO to better connect with the university. After going through the formalities, you will also receive a graduation gift and a graduation album prepared by the university upon collecting your certificates. Please follow the above steps to complete the deregistration procedures. Finally, may the graduates have a bright future!